The Reisport ladies uneven bar gymnastics grip is constructed with two finger holes and a small rubber dowel that is glued and sewn (not tied) to the grip. The gymnastics grip is to be worn at the first knuckle of the middle two fingers. A hook and loop wrist closure makes for a secure fit. 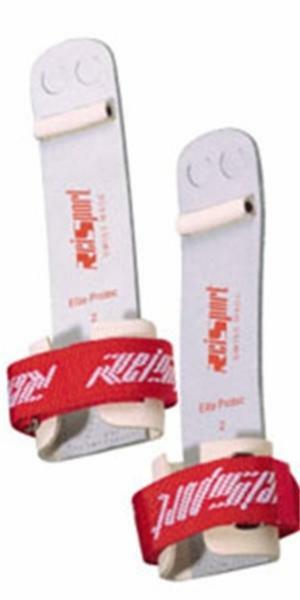 Special leather makes this the longest lasting and safest gymnastics grip on the market -ask an elite gymnast!